Stitched back, paperback cover, round corners, 192 pages, full colors, A5 Format, Printed on chlorine-free paper (FSC accredited) using vegetable inks, 153 diagrams and 145 action photos, 27 maps. 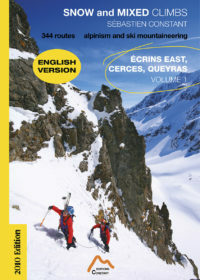 Classic Routes in the Écrins is a modern guidebook to summer mountaineering in the Écrins, Oisans, Valgaudemar and Valjouffrey. Focusing on climbs of moderate difficulty but encompassing all styles of routes, it will be an indispensable aid to planning your alpine adventures. 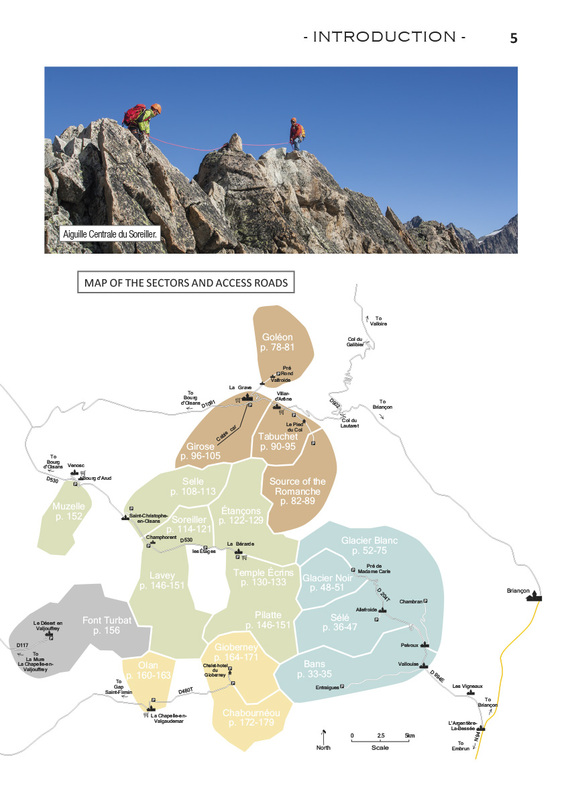 As well as classic routes and famous peaks, it presents numerous less-prestigious but equally beautiful summits and passes, together with variants, ideas for traverses and a selection of multi-day alpine circuits. 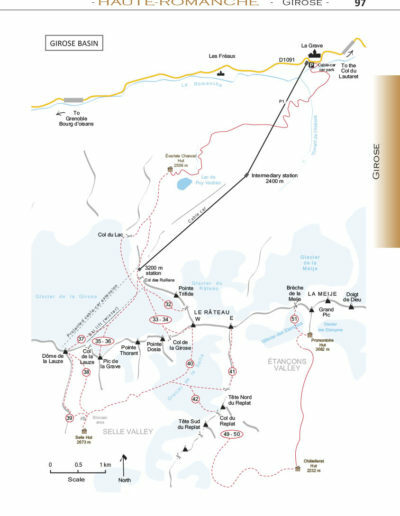 The up-to-date route descriptions take into account recent changes caused by reduced snow cover and glacial retreat. 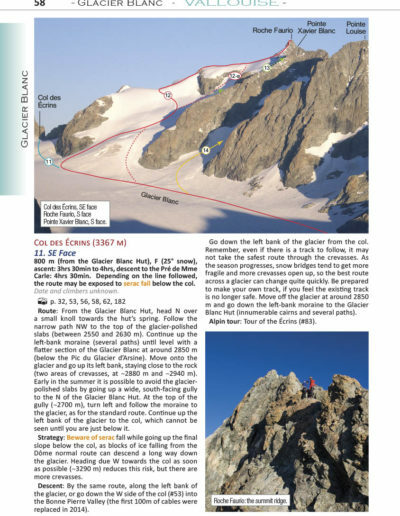 For every route, detailed information about the approach, the climb and the descent is followed by advice on the best strategy to adopt for the climb. 20 mai 2018 – Hello Sebastien. Many thanks for the speedy receipt of my book, I was very impressed with how quickly it arrived. We love the book it will be very useful when we come out in four weeks time. 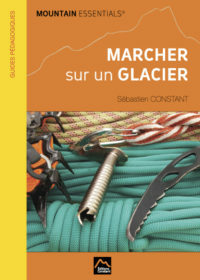 I think we would like to purchase the other guide you have also, in English, but I note that you mention a second book that will include le meije? When will this book be available, that is our big target to climb in June so we are interested to see the next book also. I look forward to hearing from you, and congratulations on a fantastic guide book. Kind regards. Hayley Webb. 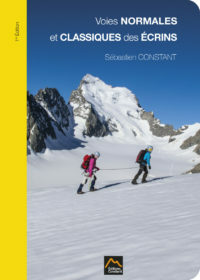 « Classic routes in the Ecrins » by Seb Constant is the unique edition for english-speaking tourists seeking to know one of the most wild and beautiful high mountains massif in Europe. 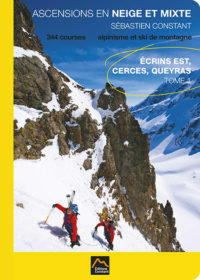 Before publishing it, most of foreginers had to get the info from internet or by suffering translating from french guidebooks. The book contains almost hundred of easy (F to D) classical and normal routes – by doing them you could feel like the first conquerors. 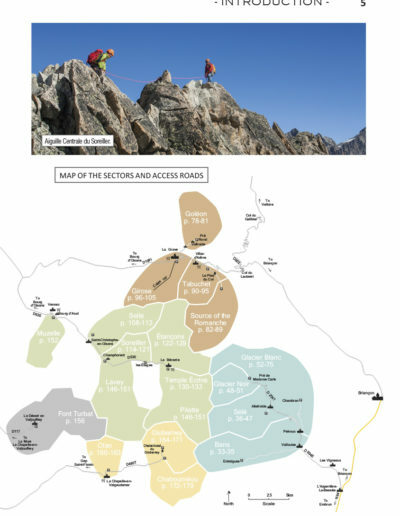 Composition of the book is very clear – it is divided by areas focused around main villages and/or access roads. 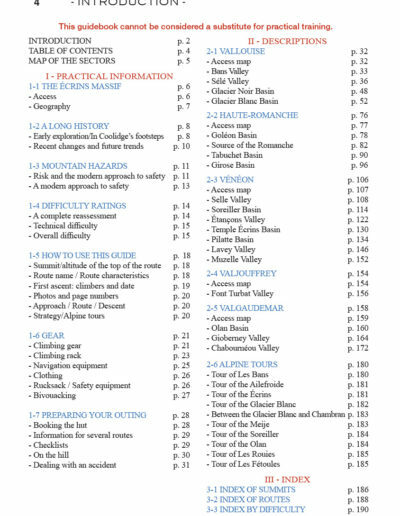 Every chapter/area is divided by subareas depending on suggested starting point (refuge, parking), detailed info about local huts, way of access by public transport or car, and detailed map of approach paths. 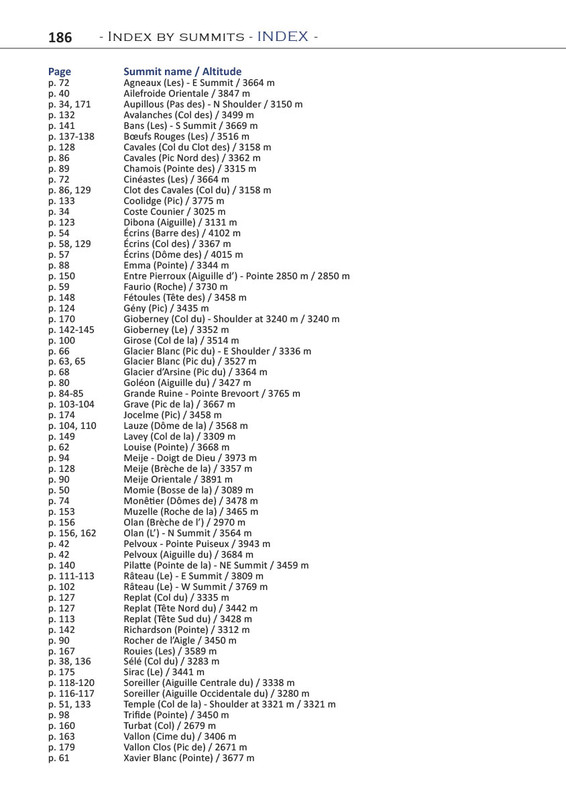 Regarding descriptions of particular routes it is very clear and clean. 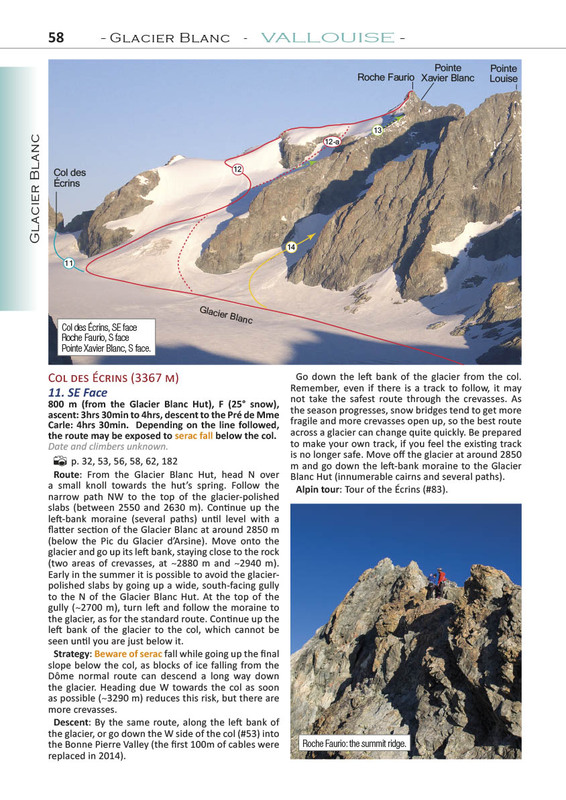 Reader gets color photos with drawn line of proposed route, together with marks of abseil points, escapes, or – in case of more complicated part of the route, there will be another photo with detailed description. 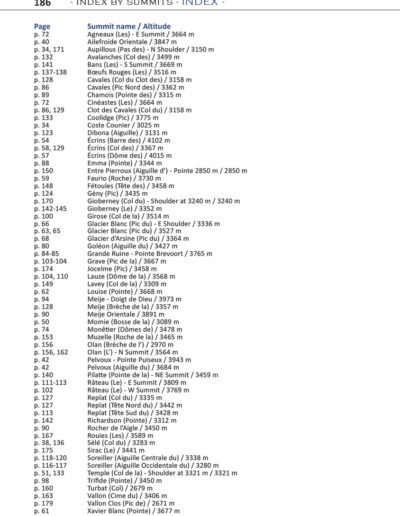 Grades of the routes were reconsidered by the author explaining that historical grades of many normal routes changed in the meantime. 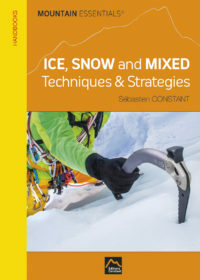 Reader will get the idea not only on the alpine grade but as well about ice/snow slope angle and rock climbing grading. 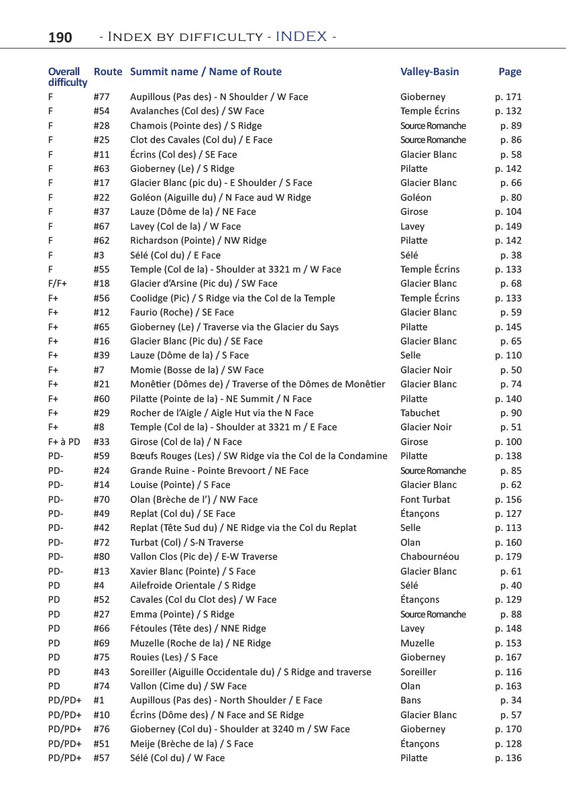 Every route has a list of related photos (by page numbers), which i found very convenient to quickly get the most information before the trip. 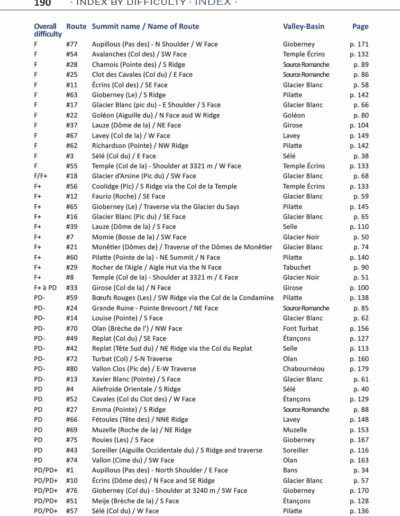 Also description of the route is very detailed, written for the normal person – not the ones who did PhD in geography/cartography, or born at the 3000m in ibex herd. 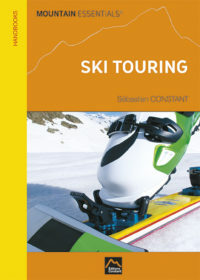 For connoisseurs author proposed « alpine tours » as well – multiday « packs » of ascends with short info about strategies. 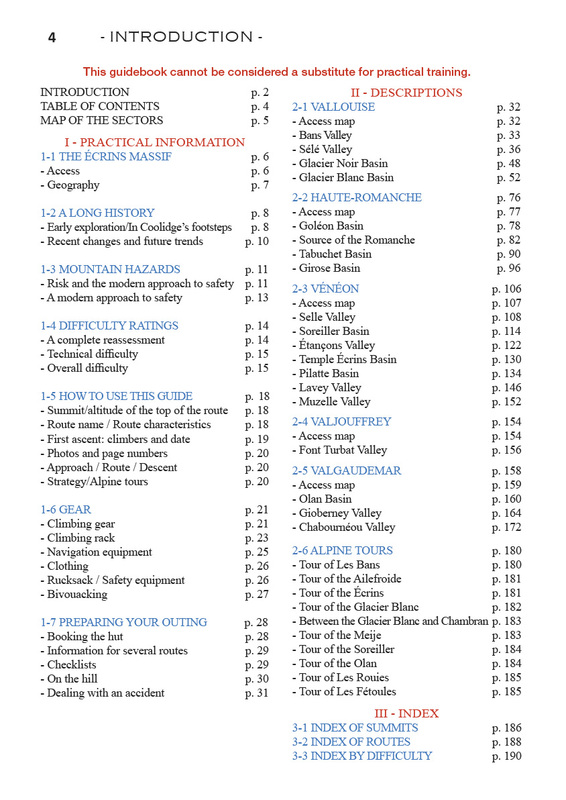 Guide contains index by summit name, difficulty, and by area. 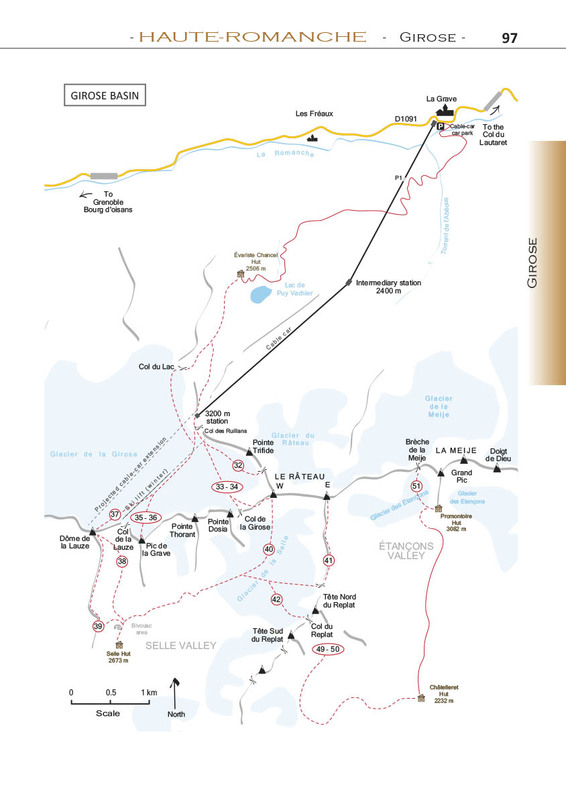 Before I used to use camptocamp to find interesting alpine routes, bleeding from eyes by trying to translate from french, or wondering how i can get to the top having only two sentences in route description. Now, I have that tiny book I can read in bed, and plan next weekend.